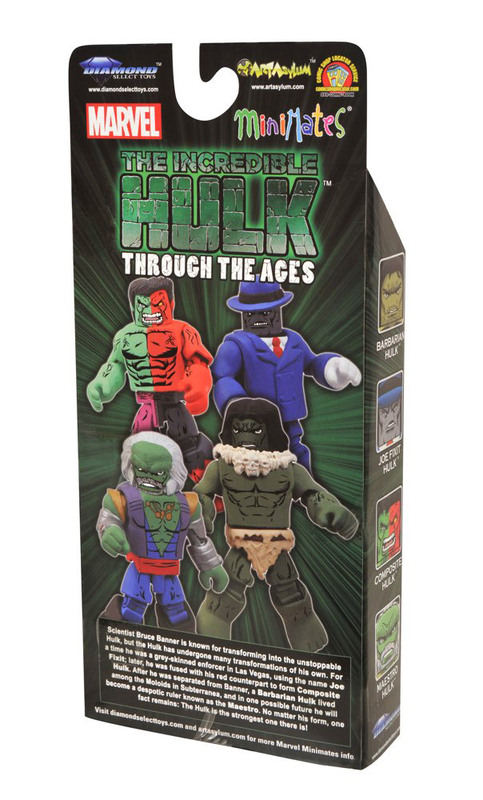 The Hulk Smashes Through the Ages in His Own Marvel Minimates Box Set! 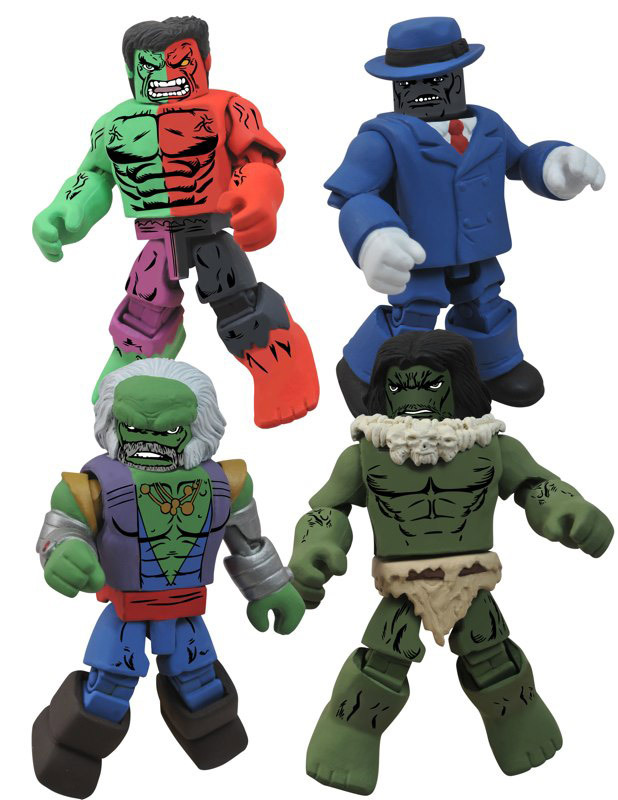 May 2013 - Fans love the Marvel Minimates "Through the Ages" box sets because they offer a chance to collect some of the coolest alternate looks for the character featured in each set. 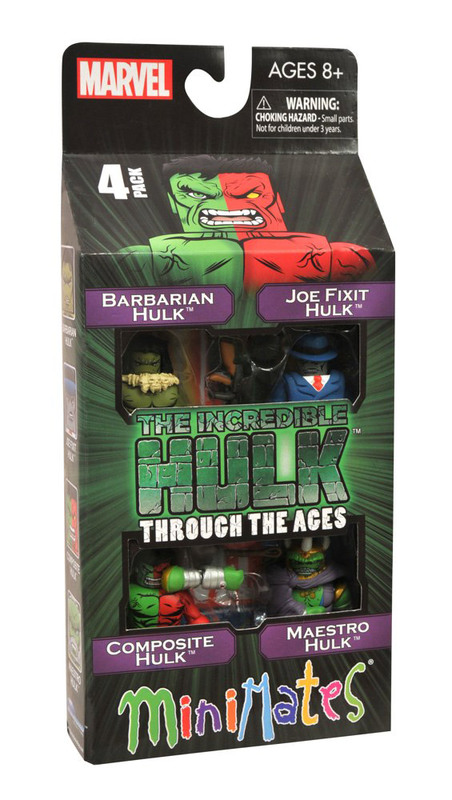 But in Diamond Select's next box set, Hulk Through the Ages, you can collect four of the Hulk's coolest alternate personalities! Check out packaged photos below, and pre-order the set today at your local comic shop!